Veggies Rule: Whoa - What an Expose on Pig Farming! 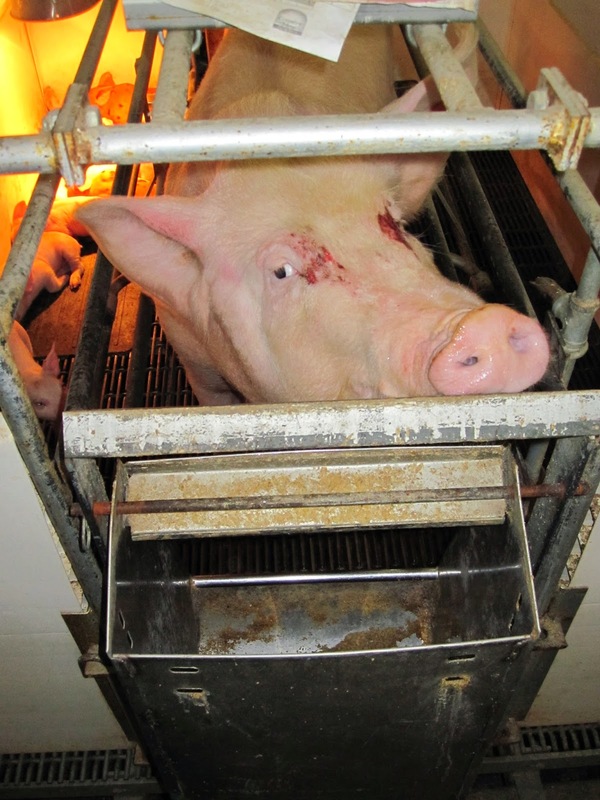 Whoa - What an Expose on Pig Farming! The Sunday program on last night really did a bit of a shake up and has, no doubt, been a wake up call to those who insist on eating pork products. And, for those of you who don't know what I'm talking about, it was a glimpse into the unseen hell of the factory farmed pigs here in good old, clean, green New Zealand. 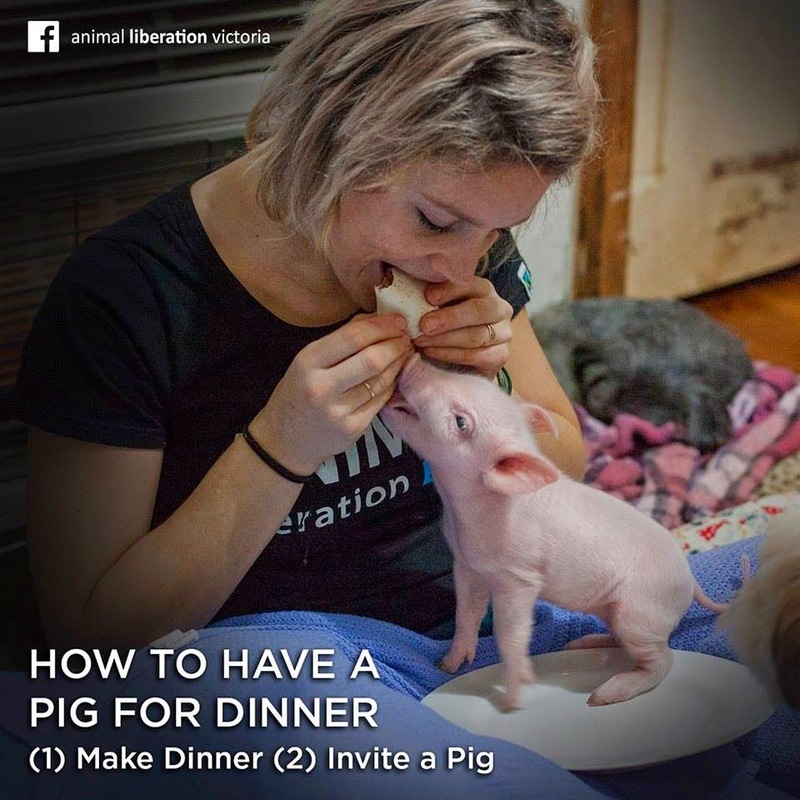 Here's the link to the actual program: http://tvnz.co.nz/national-news/shocking-footage-stirs-up-pork-label-criticism-6014397 - be warned, some scenes you may find disturbing .... well, actually sickening! I've just come off a GoVeg (supporting vegetarian/vegan) stall at a Food Festival and I even had an ethical butcher ask if I knew where they could source free range pork. Yes, I thought it odd that the butcher would ask an animal welfare, obviously vegan, person where to source meat product. But this butcher is asked many many times for free range pork and can't supply it and he is totally frustrated at not being able to get it. We do have free range pork here in N.Z., but, as far as I know, only two farms. 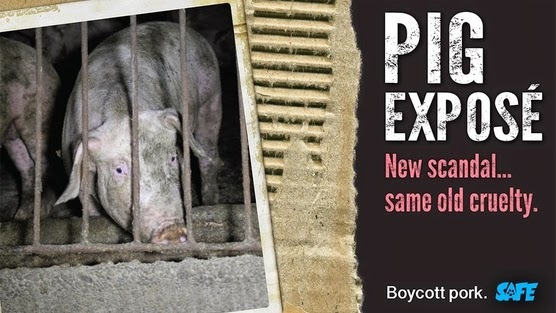 All other pork is farmed in intense factory farms most of which are still using the sow crates for the first 4 weeks of the pregnancy and the farrowing crates to birth and suckle the piglets.